HOW DO YOU TO PICK A WINNER FOR A $10 MILLION PRIZE? WaterToday sent a series of questions to the Everglades Foundation's Chief Scientist, G. Melodie Naja. Our questions and Naja's answers can be found below. WaterToday - You received 100s of applications from around the world for the first phase of the prize? What was the process of elimination to bring it down to 10 and 4? What were the criteria you used to accept or reject proposals in the initial stage? Naja - The Barley Prize Team did receive over 100 applications from 13 different countries throughout all stages of the competition. During the first stage of the prize, there were no restrictions on entry and all proposals were accepted to enter the competition. In their applications, contestants were asked to describe their phosphorus removal technology while keeping in mind that the judging followed 5 different criteria: 1) outflow TP concentration; 2) percentage reduction in TP concentration; 3) quality of experiment design ;4) environmental impact and 5) overall presentation of their approach. A set of qualified experts in hydrology, chemical engineering, wastewater treatment and communications ranked the applicants and determined the winners of this first stage who collectively won $35,000. During the second stage of the competition, the prize was also open to anyone who can compete. Applicants from stage 1 and new contestants applied to win this stage of competition. The applicants had almost 7-8 months to test their technologies in their labs for two weeks and report their results following strict guidelines. From the applicants of this stage, judges selected 10 applicants to move with us to the third stage of the competition and test their technologies in Bradford, Ontario for 3 months cleaning agricultural runoff after the snow melt. The top 3 teams of the second stage of the competition collectively won $80,000. To win the third stage of the competition, the applicants were judged based on: 1) cost per kg of TP removed; 2) outflow TP concentration; 3) environmental sustainability and 4) scalability. Judges ranked all the applicants based on the results from the three months of testing and declared the 4 winners who collectively won $800,000. Cost being an important criterion, Ernest & Young helped to audit all the costs reported by the contestants. The 4 winners are now getting ready for the Grand Challenge testing their technologies for 14 months in Florida and win the $10 million prize. WaterToday - Were you surprised by some of the participants' systems? Were there some solutions you had not anticipated at all? Naja - I was amazed by the ingenuity of the teams targeting the particulate as well as the soluble reactive phosphorus to reach very low total phosphorus levels in the outflows. The integration of physical, chemical and biological treatments in one system was also surprising as well as the use of new waste-based materials removing phosphorus to bring down the treatment costs. 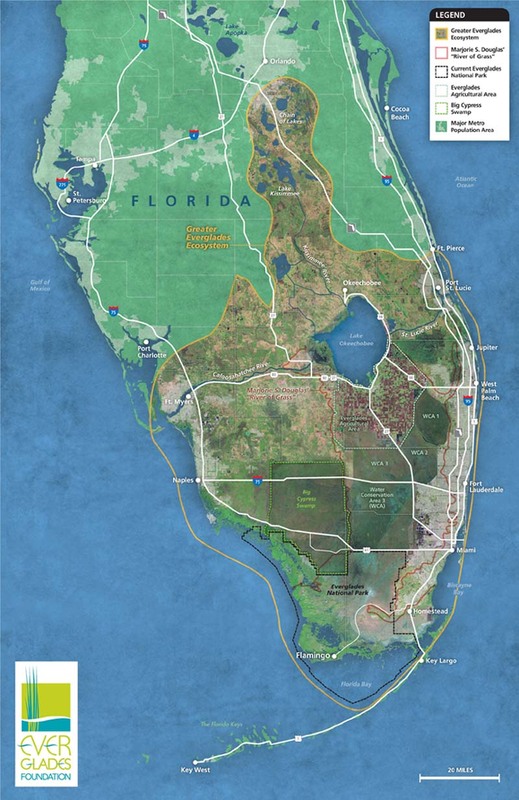 WaterToday - In a 2014 article: Restoring the Heart of the Everglades: The Challenges and Benefits, you mention that in 2003, the state of Florida adopted a water quality criterion for total phosphorus (TP) of 10 parts per billion (ppb) for most Everglades marshes. Is this threshold upheld? Or is it an uphill battle considering the large funds needed to achieve this goal and required cooperation of the agricultural sector? Naja - The 10-ppb total phosphorus is a water quality criterion mandated to restore the Everglades fragile ecosystem. 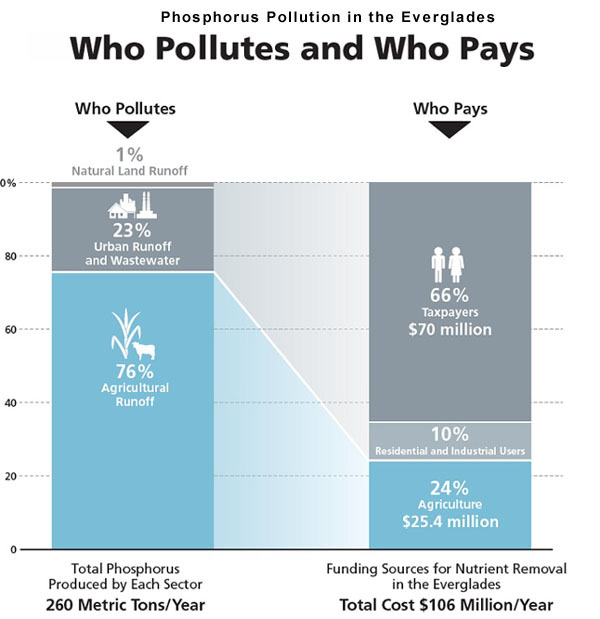 Currently, phosphorus laden runoff from the Everglades Agricultural Area, located just upstream of the Everglades Protection Area, are partially treated through the implementation of Best Management Practices and the use of Stormwater Treatment areas (constructed wetlands) designed to filter phosphorus. Currently, the total phosphorus entering the Everglades Protection Area is reaching 35 ppb, 3 times above the 10-ppb mandated phosphorus level in the Everglades marshes. This is a long battle that requires the cooperation of all stakeholders and mainly the parties directly responsible for the pollution. An RTI study released by the Foundation in 2012 estimated that farming is responsible for 77% of the phosphorus pollution and only paying 24% of the costs. WaterToday - You also say in this article that reduction of phosphorus is vital to revitalizing the Everglades, yet our understanding is that the specific aim of the Barley Prize is to tackle legacy phosphorus . Can you do one without the other and solve the issue? Naja - Current efforts to reduce phosphorus pollution have focused on getting farmers to use less fertilizer, apply it at the right time of the year, and keep it from entering fresh water bodies. Attempts at solving the problem of phosphorus pollution has centered mainly on reducing the amount of phosphorus that enters our water bodies at the source. These efforts to change behaviors have only slowed the tide. We know that changing the behavior of farmers is an uphill battle. We also know that even if we were able to change behaviors, there is so much phosphorus already stored in the soil or in the sediments of a lake that we would still have a legacy problem: phosphorus would continue to be a serious pollutant and the cause of the harmful algae blooms for decades to come. We believe that we need a different approach with higher impacts on the phosphorus flow into our waterways. The specific aim of the Barley Prize is to tackle the phosphorus problem (not only the legacy) in freshwater ecosystems by developing a globally adaptable, reliable, green, and cheap process. It must be radically cheaper than all of the currently available technologies and it must be able to reduce phosphorus when it is also present in low concentrations without negatively impacting the environment. The Barley Prize technologies are not based on innovative on-farm practices but processes that can be implemented downstream at a tributary or canal levels to remove phosphorus that is reaching a waterbody. WaterToday - Some water filtration techniques take away essential nutrients in water? Was this one of your concerns when evaluating the entries? Naja - Yes. Definitely. One of the main criteria to select the winners of each stage is the environmental sustainability. The winning technology must not negatively alter background water quality characteristics and it must also minimize environmental pollution, including from any by-products resulting from the TP removal process. Effluent from each technology were and will be closely monitored to guarantee that the technologies are not producing a toxic stream of waste detrimental to the ecosystem health. WaterToday - You worked and lived in Canada and the US, would you say that the toxic algae issue is similar in both countries? Naja - All countries around the world are facing the same phosphorus problem targeting our freshwater bodies, a problem that is only getting worse. Lake Victoria in Africa, Taihu Lake in China, Lake Winnipeg in Canada, Darling River in Australia, River Po in Italy, etc. suffer from excess phosphorus and algal bloom events. The causes of this problem could differ from one waterbody to another (wastewater treatment facilities, sceptic tanks, agricultural runoff, etc.) but the consequences are similar (ecosystem degradation, algae bloom, oxygen depletion, etc.). Scientists studying the stresses on the planet agree that nutrients are among the most pressing issues facing the planet, even more than climate change or ozone depletion)1. Phosphorus (P) and nitrogen (N) cycles are currently classified as high risk. Scientific observations point to a few major agricultural regions with abundance of phosphorus and nitrogen added and stored in the soil, thus considered as the main contributors to the transgression of a safe boundary (a safe operating space within which societies can develop and thrive while protecting the environment). 1. Steffen, W., Richardson, K., Rockstrom, J., Cornell, A. E., Fetzer, I., Bennett, E. M., Biggs, R., Carpenter, S. R., deWries, W., deWit, C. A., Folke, C., Gertne, D., Heinke, J., Mace, G. M., Persson, L. M., Ramanathan, V., Reyers, B., Sorlin, S. 2015. Planetary boundaries. Guiding human development on a changing planet. Science, Jan 15, 2015, 1259855.